Our client required urgent funds to complete the purchase of a development site in Lara Victoria. This property was contracted for purchase in December for $2,650,000. However due to various contract extensions the settlement figure was revised to $2,809,550. During this period our client obtained an approval for 201 dwellings distributed around a central community building with associated leisure facilities. As the purchase had not been completed on schedule the vendor was becoming extremely frustrated with the constant delays and extensions (over 2 ½ years) and intended to cancel the sale which would have meant that our client would have lost their deposit and considerable working capital invested into the deal. With literally days left the borrower contacted GCC for a solution. There was a valuation in place by a major valuer however they would not assign their valuation to a private non-bank lender. GCC settled a loan through one of our non-bank private lenders who approved the transaction and without ordering a new valuation through their panel valuers. Our client owned an income producing commercial property in Adelaide CBD worth $34M with an existing first mortgage to a major bank in the sum of $22.5M. The borrower had an existing valuation from a reputable valuer. As the result of a sale of another investment property the client had a Capital Gains Tax liability to the ATO in the sum of $1.00M and a Family Debt (that required urgent repayment) of $530K. GCC was originally approached to facilitate a refinance of the entire facility to an LVR of 75% however the pressure from the ATO and the need to repay the family debt became intense and hence a short term solution was urgently required. GCC arranged an approval for a $2.05M short term loan within one day. As there was an existing valuation from a reputable valer our lender was happy to proceed on that basis without the need for their own valuation and mortgage documents were prepared and ready to settle within 2 days taking a caveat as security initially. Exit strategy via refinance or sale. 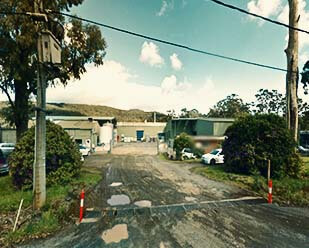 Our clients have a very successful fruit processing business in regional NSW. They had a bank facility with an interest only period that had expired, now P&I payments were required. Due to the change of arrangement it was becoming draining using up to $20K per month taken from working capital. The annual review process was also becoming time consuming due to client’s corporate structure (5 trading and holding entities. GCC refinanced the property loan with a non-bank funder on a “set and forget” basis, that is no annual reviews’ then facilitated a $4 mill trade finance facility to ensure client had sufficient working capital to take advantage of seasonal stock prices. Our client required funds to assist with the purchase of a vacant development site, adjoining existing development sites already held by the borrower. Funds were to be used to purchase the site and consolidate with the adjoining sites to create a super lot, allowing synergy savings and a greater development return. The developer had an abundance of experience in similar projects, major banks were unwilling to assist. 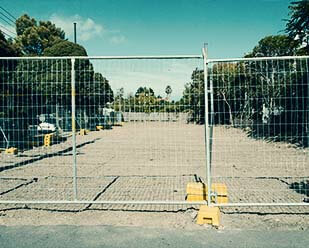 We secured a facility that allowed our client to consolidate the two sites and obtain planning permits for construction. During the period he also obtained the required presales to successfully refinanced in to a construction facility.